Are you in the market for a new car, something sporty and exciting to drive? Check out a Porsche coupe from a dealership not far from Gretna, LA. One dealership, in particular, has incredible options. Not only will you discover an impressive inventory but also affordable prices. Whether you are interested in a 2018 718 Cayman, 718 Boxster, 911 Carrera, 911 GTS, 911 Targa, 911 GT3, 911 GT2 RS, or one of the 911 Turbo models, prepare yourself for the best driving experience of your life. Each Porsche coupe has a sporty exterior profile that will turn heads wherever you go. After sitting behind the wheel of one of these models, you will never want to own any other car. The 2018 911 Targa is just one example of a top-of-the-line Porsche coupe. Both the 4 and 4S are remarkable machines. This car’s engine produces 370 horsepower and offers excellent fuel efficiency. With the manual transmission, you can expect combined 22 mpg. The automatic transmission rates a little higher at 24 mpg combined. Along with 13 standard exterior colors, this Porsche coupe comes standard with 19-inch Carrera wheels, twin single tube tailpipes with a brushed aluminum steel finish, the Porsche Communication System complete with navigation, and the Porsche Active Suspension Management system. This car also boasts the “Sport” button, which improves both steering and handling. What about a 2018 convertible 911 Turbo Cabriolet? This Porsche coupe is another perfect example of a precision automobile. If achieving maximum power is your goal, you will appreciate the incredible 540-horsepower engine that accelerates the car from 0 to 60 in just 2.6 seconds. Other key features include rear-axle steering, Variable Turbine Geometry, and the Porsche Torque Vectoring Plus system. The 911 GT3 Porsche coupe is another fantastic choice. Even with 500 horsepower, this car yields 16 and 17 mpg combined for the manual and automatic transmission, respectively. You can select from bold colors on the outside and enjoy state-of-the-art infotainment, safety, and technology features on the inside. 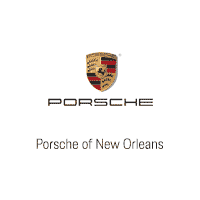 Instead of dreaming about owning a new coupe, visit us at Porsche of New Orleans to select the car you have always wanted. One of our professional salespeople will help you through both the selection and buying process. For added convenience, we offer in-house financing and on-site service. You will find us in Metairie, only a few minutes from Gretna, LA.